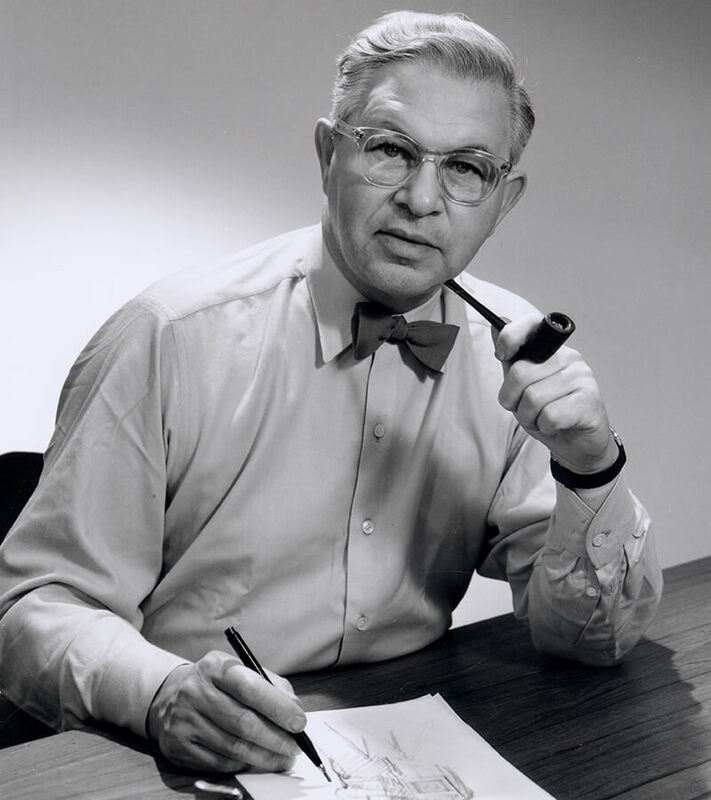 To admirers of Scandinavian aesthetics, Arne Jacobsen is one of the most recognizable designers in the field. 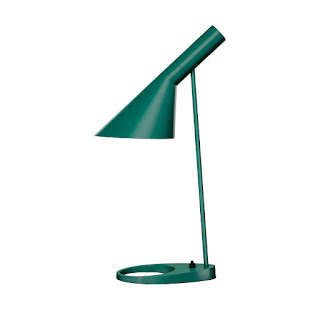 Born in Denmark in 1902, his design career stretched from the late 1920s until his unexpected death in 1971. 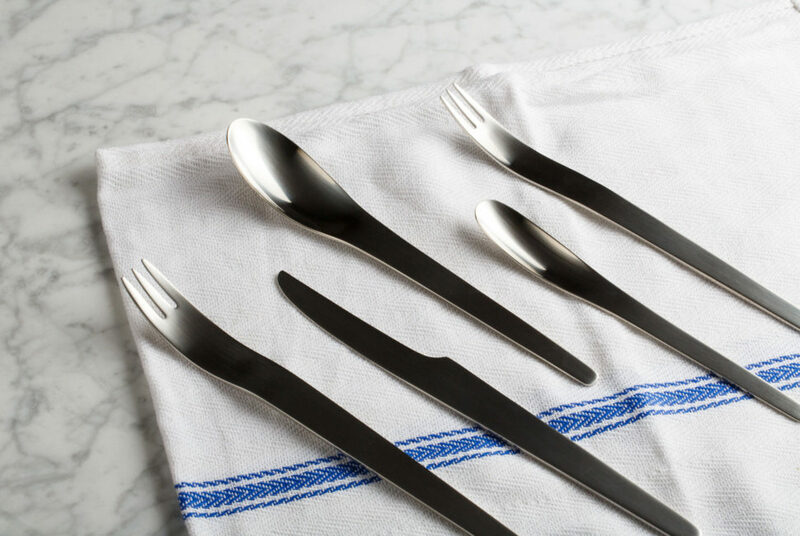 His creations have changed how we expect modern design to fit into our lives; chairs, clocks, desks, tableware and more: all functional, elegant, and long-lasting. Even if you don’t know his name, his Egg chair (designed for the SAS Royal Copenhagen hotel) or his lamps and light fixtures developed for manufacturer Louis Poulsen are instantly recognizable. Hotel room at the SAS Royal Hotel Copenhagen. 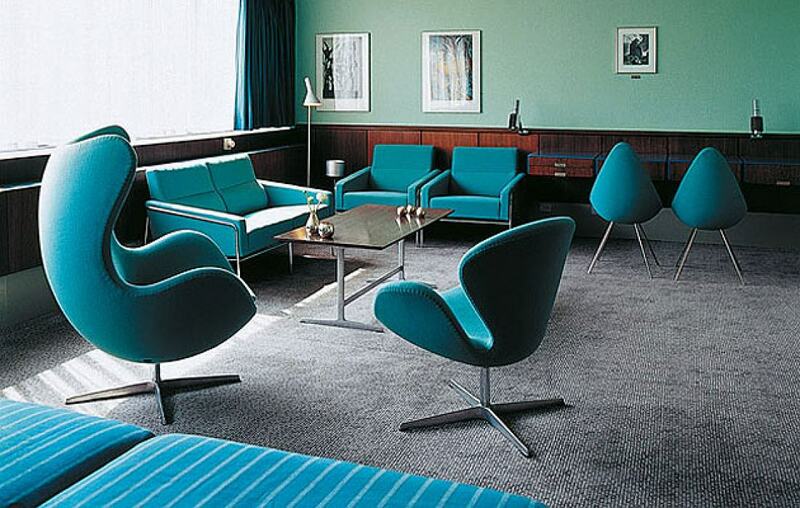 The Egg chair, far left, the Swan chair, middle, and the two Drop chairs, right, have become design classics. Before the second World War, Arne completed several large projects, including a seaside resort complex, a sea bath, the Århus City Hall building, and an office building in the historic center of Copenhagen that is now seen as a model for new construction in a historical setting. The war years were lean due to war-time material shortages and Nazi racial laws against Jewish citizens in Occupied Denmark. Jacobsen was forced to flee Denmark by rowing a boat to Sweden when plans for Jewish deportation to concentration camps were announced in 1943. At the end of the war, Jacobsen’s style continued to develop, combining the use of multiple materials to create depth and interest in what could have been austere modernist structures. His SAS Royal Hotel, built from 1956 to 1960, gave birth to some of the most iconic furniture of the twentieth century, including the Swan and Egg chairs. 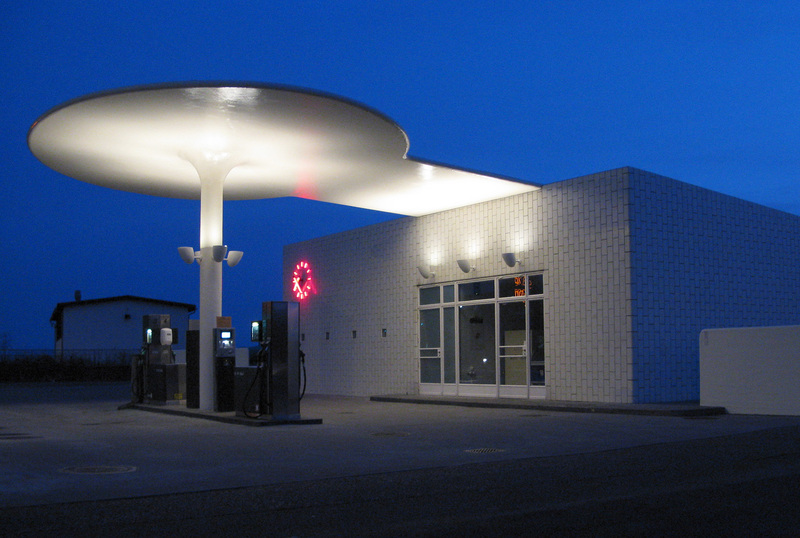 He designed everything in the building, from the furniture to the fittings, even the ash trays in the lobby and the shuttle buses to the airport. Table lamp, designed for Louis Poulsen. 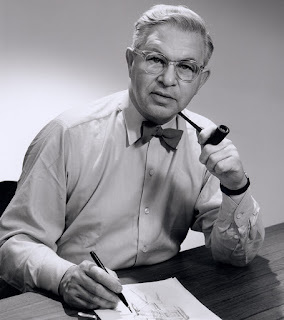 It is an irony that today Arne Jacobsen is known first as a designer -- it was a word that he disliked and never used. Rather, his interest in design extended to the entire universe he was creating. One of Jacobsen’s most important influences was Italian design historian Ernesto Rogers, who neatly summarized what could have been Jacobsen’s own mantra: every element in a design was equally important, “from the spoon to the city”. Come and check out some of our own favorite Arne Jacobsen pieces at our beautiful shop in Carmel-by-the-Sea, California! Many of Jacobsen's designs are still made by the same manufacturers, and we have them on display for you!